It’s short notice, we realize, but Missouri State Parks just announced open houses for three communities along the Rock Island corridor. This is another chance to get up to speed on questions as well as the potential of this trail, and it is also a final chance to make your voice heard as the state nears a deadline early next year to accept ownership of the route. The Rock Island is a 144-mile corridor the state has the opportunity to add to its park system. 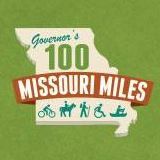 When combined with the 47.5-mile Rock Island spur the state has already acquired and opened, and the epic 240-mile Katy Trail State Park, the result would be between 400 and 450 miles of trails crossing central Missouri. It’s a moment too good to pass up. -Owensville, Monday, October 29, 5-7.30 p.m. Scenic Regional Library, 503 S. Olive St.
-Versailles, Tuesday, October 30, 5-7.30 p.m. Morgan County Library, 600 N. Hunter St.
-Meta, Thursday, November 1, 5-7.30 p.m. Citizens Civic League Hall, 301 Olive St.
MoBikeFed comment: The Missouri Parks Association issued an alert this week letting everyone know that attendance at these meetings (if at all possible--they are in distant locations for many Missourians) and submitting substantive written comments at the meetings or online is absolutely vital. The decision to accept or reject the donation of the Rock Island Corridor will be made within the next few months, and the written public comments received at these meetings may very well make the difference.